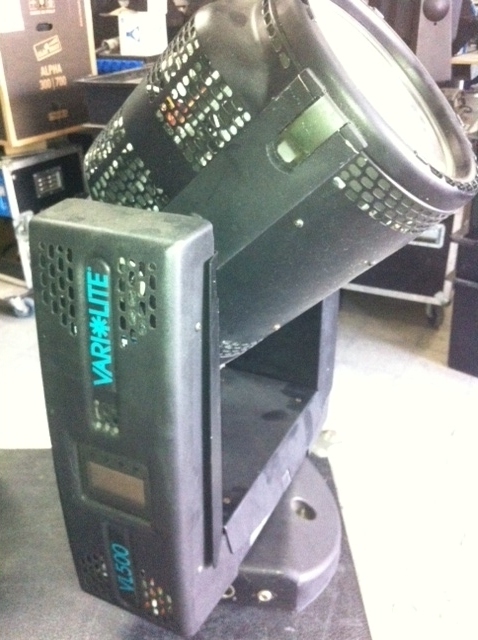 Back by popular demand, the VARI*LITE VL500 80V? 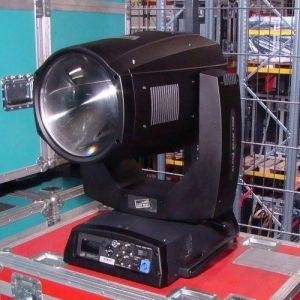 Wash luminaire is based upon the Emmy Award-winning VL5? Wash luminaire, but with significant design improvements. 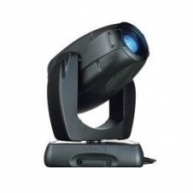 The VL500 80V utilizes a bright 80V tungsten lamp for applications where more intensity is needed. 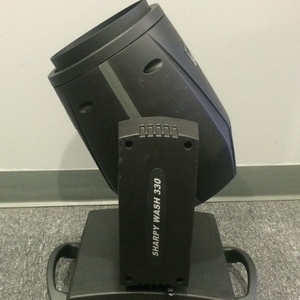 With its integral dimmer, the VL500 80V allows dynamic intensity control and smooth timed fades. The patented and innovative DICHRO*TUNE? 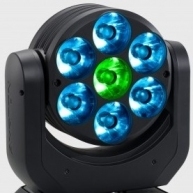 Radial color mixing system employs three sets of 16 radially mounted dichroic blades - magenta, blue, and amber - designed to produce a smooth, full spectrum of color cross-fades. This luminaire is also available with pastel versions of the standard colors. The pastel colors offer a softer Broadway-type color palette often used in live theater. 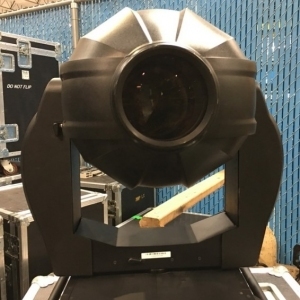 In addition to its internal dimmer for intensity control, the VL500 80V utilizes 16 radially mounted diffuser planes to control beam spread. For additional beam control, the VL500 80V may be purchased with six interchangeable lens options, including clear, stipple (included in stock fixture), 8-row, 10-row, 12-row, and Buxom. 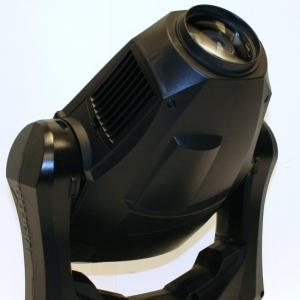 The VL500 80V is designed with a naturally convection cooled lamp and internally cooled electronics, which utilize three low-velocity, low noise micro-fans for temperature control. The micro-fan cooling the 80V dimmer operates at Incremental speeds that correspond to the temperature of the dimmer. The micro-fans in the yoke arm and the base which cool the control electronics and the low-voltage Power Supply are on-demand and activate only in extreme conditions where the ambient temperature exceeds 41 C, or if the fixture is mounted in a horizontal position. User override of these two fans is possible through the unit's menu display. 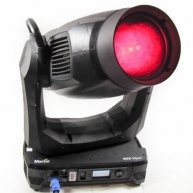 The VL500 80V is a stand-alone fixture with no additional outboard equipment required. 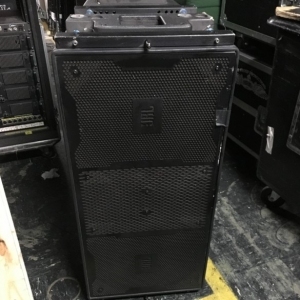 Simply plug in DMX512 and power, and the VL500 80V may be controlled through a variety of DMX512 lighting control consoles. 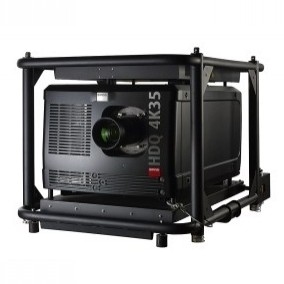 The VL500 80V comes standard with an on-board, backlit, invertible LCD display. This enhanced display is easy to read with or without the backlight on. 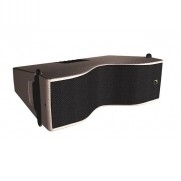 The display also has an extended remote function, which allows "shop addressing" and adjustment of other fixture parameters by means of an optional battery- powered, hand-held controller, thereby avoiding the need to power the light. 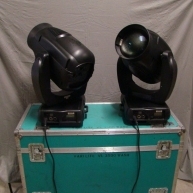 VL500 80V Wash - VL500 80V Wash in good condition, previously used on tours. 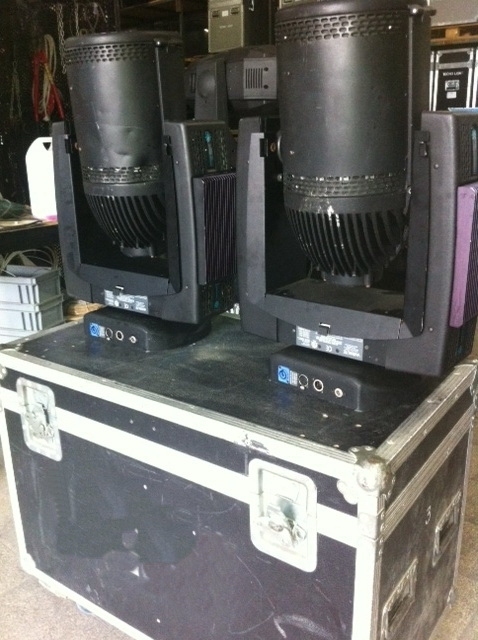 VL500 80V Wash - Used on various rentals. Come with a 7 day warranty. 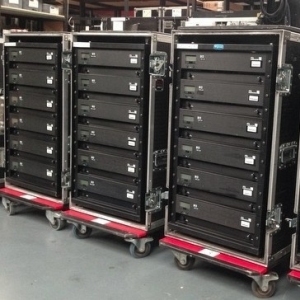 VL500 80V Wash - Used on various rentals. 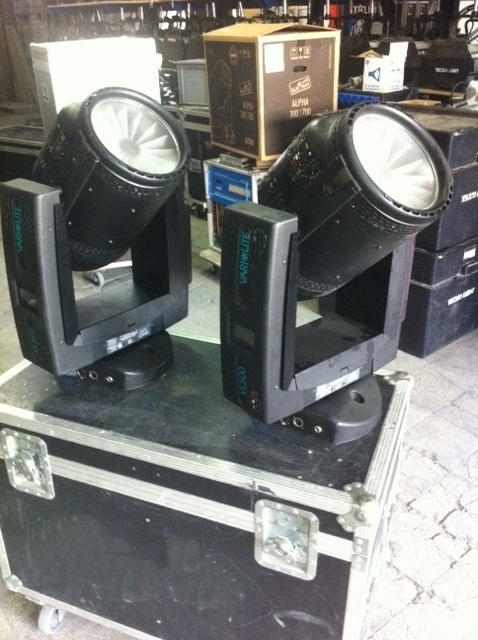 80V/1200W luminaire.